NASCAR driver Cole Whitt will pilot the Premium Motorsports No. 98 in the 2016 season with ongoing support from Speed Stick. 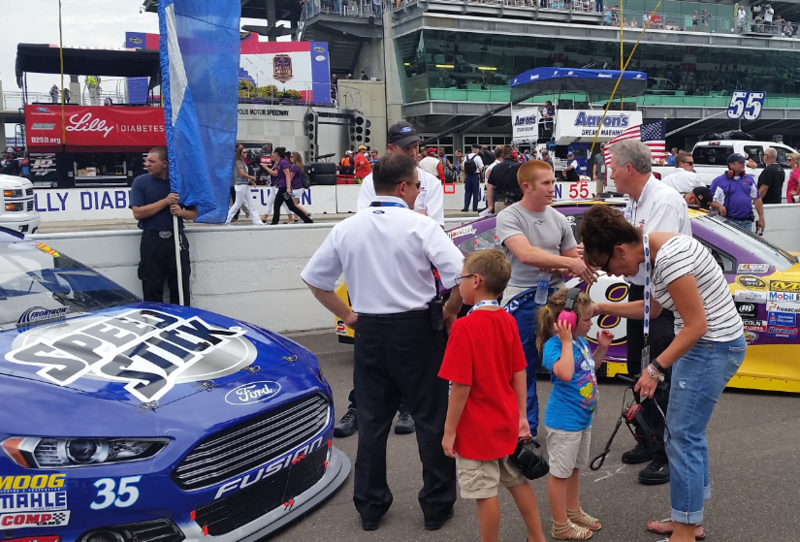 We spent the weekend with Cole and the Speed Stick team at last year’s Talladega 500, and again at the Brickyard 500 in Indianapolis where Cole explained what a day in the life of a NASCAR driver is like. “I’m really excited and grateful for the opportunity to go racing with Premium Motorsports and continue my relationship with Speed Stick,” Whitt said. Speed Stick® is also on board to support Whitt this NASCAR season. “Cole Whitt continues to embody the traits that we champion at Speed Stick®,” said Bill Van de Graaf, Vice President and General Manager, U.S. Personal Care, Colgate-Palmolive. Known for its line of high-performing antiperspirants and deodorants, Speed Stick® previously sponsored Cole during his rookie and sophomore years and connected with fans by documenting the driver’s first race at the Daytona 500 through a unique, online video series. 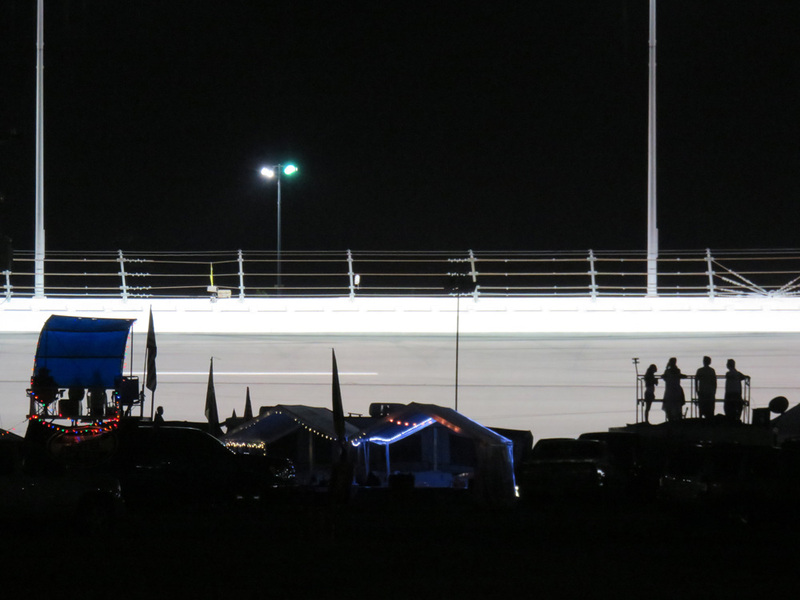 The best things in NASCAR thrive under pressure. Whether it’s the engine, pit crew or driver, it’s a game of constant pressure, a game of endurance that lasts from February to November. And the team that handles it the best wins the Sprint Cup. With two races left, the intensity is nearing it’s crescendo, but the gameplan remains the same. The demands placed on a NASCAR driver throughout the season are intense. The idea that drivers get to the track, turn left for three hours and then resume their day-to-day life is false. As the then-reigning back-to-back Big Eight (now Big 12) Conference decathlon champion for the Cornhuskers, as Allen was in 1991 and 1992, why wouldn’t you be hanging around the women’s gymnastics team? If charisma was a sport, he’d still be leading the league. Allen’s affable, smooth, confident tone on the air transitions just as easily outside of the booth to the confines of the NBC Sports tent where we talked about his job as the voice of NBC Sports’ rejuvenated NASCAR franchise. Allen got his start announcing races at Eagle Raceway in Eagle, Nebraska after getting a degree in speech communications. 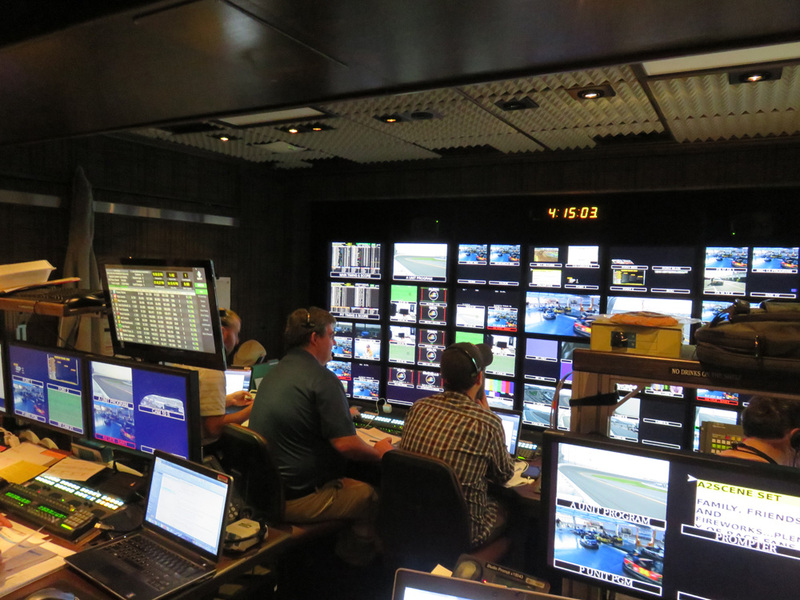 He joined Fox Sports in 2003 and served as play-by-play man for Camping World Truck Series and Xfinity races until last year. Former NASCAR driver Jeff Burton and former crew chief Steve Letarte join Allen in the booth. If NASCAR legend Dale Earnhardt Jr. and his JR Motorsports teammate Regan Smith admit to doing it, then there’s no shame in admitting you have, too. So go ahead and unburden yourself – 80% of men have used their girlfriend, wife or spouse’s haircare products. “We’re all guilty of getting lazy and grabbing whatever the girlfriend or wife is using,” admitted Earnhardt Jr., as he forced a room of roughly 40 men to confront a grim reality about themselves. The numbers are appalling. 70% of men are interested in their own personal style, yet only 20% actually use products made for men. But Suave Men wants to change that. And they know that education leads to prevention, and ultimately, choices a man can be proud of. 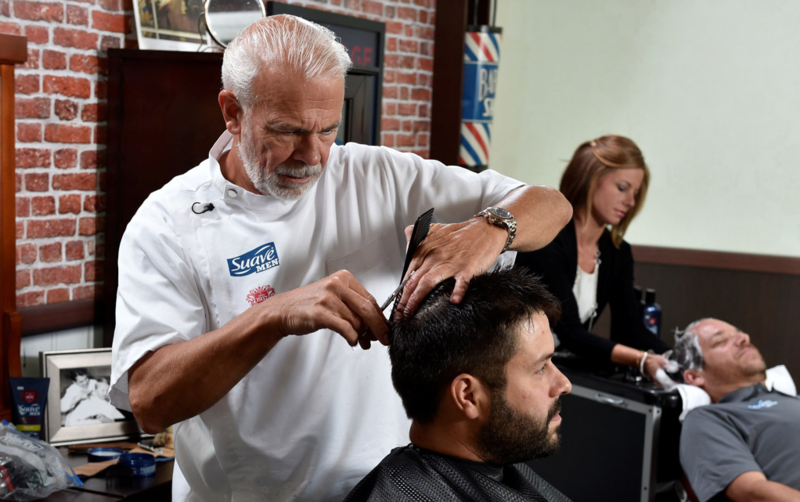 The “Suave Men Heritage and Hair: A Discussion with the Icons of Speed and Style,” took place on the eve of the NASCAR XFINITY race in Brooklyn Park, Michigan. 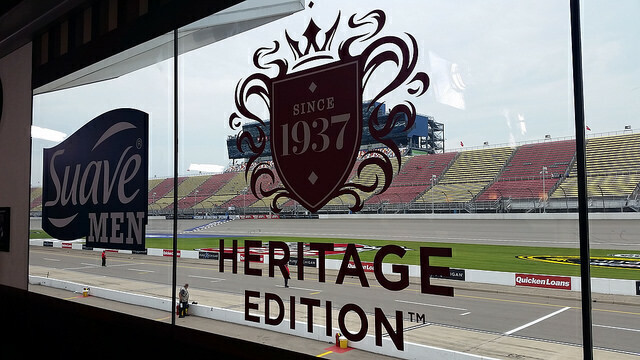 For the event, Suave converted a suite at Michigan International Speedway to the “Speed and Style Salon,” a 1930s-era replica barbershop. Hosting the event was famed NASCAR pit reporter Matt Yocum. But at the steering wheel of this thrill ride into masculinity was Steve Ellsworth, Dale Earnhardt Sr.’s personal barber for over 20 years. Mr. Ellsworth gave a total of 15 haircuts, several shampoo jobs and unlimited tips about how to groom like a man. But what everyone wanted was insight into his relationship with the most famous #3 in all of motorsports, Dale Earnhardt Sr.
To some people, Alexis DeJoria is the wife of Moster Garage star Jesse James. To others, she is the daughter of Jean-Paul DeJoria, billionaire businessman and co-founder of Paul Mitchell hair products and the Patron Spirits Company. But on the NHRA Mello Yello circuit, Alexis DeJoria is one of the most successful Funny Car drivers on the tour. 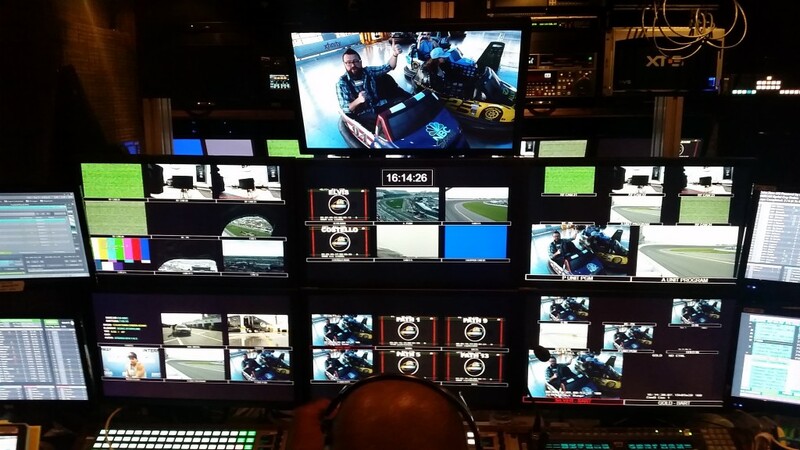 We spent two days with Alexis and her team from Kalitta Motorsports at the Kansas Nationals at Heartland Park in Topeka, Kansas, and inadvertently found ourselves in the middle of the most exciting weekend in the history of the sport. In this video, Alexis talks about how her car accelerates faster than anything on earth (yes, even a fighter jet), how she got into racing, and her career-defining victory in the 2014 NHRA U.S. Nationals, it’s 60th anniversary, a feat akin to winning the Super Bowl. The day before we arrived in Topeka, during the second day of qualifying, DeJoria ran the best run of her career, an Elapsed Time (ET) of 3.994. ET is the time it takes from the car to get from the starting line to finish line.